Everybody have a safe and happy holiday season! Thank you all for reading Ellie’s adventures. She’ll be back on January 3rd! Brilliant as always! Have a great holiday my friend! I hope to see you in the new year! C2E2 perhaps? Thanks, Denver! I might come for a visit at C2E2! Best wishes for you as well. Have a safe holidays and see you next year! Sweet! 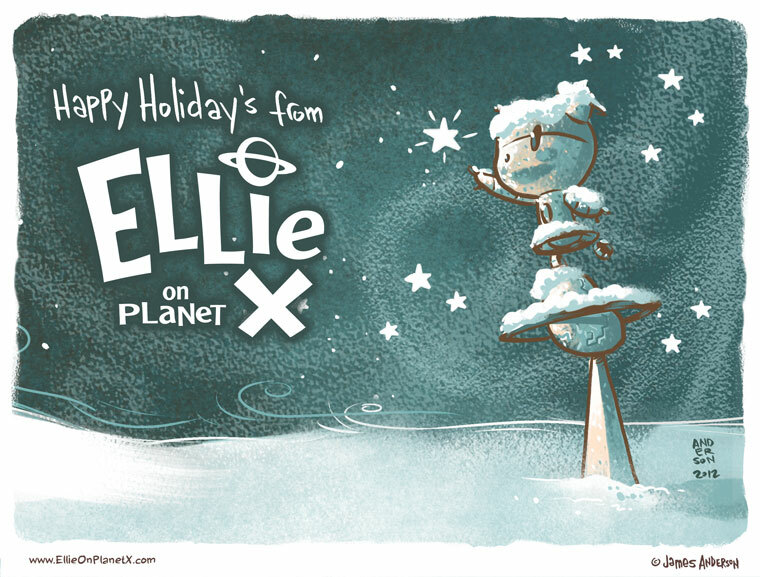 Merry Christmas and Happy New year, James – to you and yours, and Ellie! Merry Christmas, Jim! Hope you’re having a relaxing time enjoying what’s good in life, whatever that might be for you! Thanks, Wouter! Seriously, same to you and yours. Apparently it’s The Day After Tomorrow at the Strang Institute. The blizzard’s so thick you can’t see the wall just a few yards from the Ellie statue!